Sometimes it’s hard not to get a big head when you’re the one sitting on the throne. It’s basically like sitting on top of the world. So no one should be surprised if your head gets filled with a little hot air while you're flying high with clouds between your knees. Being big headed and having a larger than life ego almost goes hand in hand with being the king or the queen. It may not be the best quality but it is what it is. 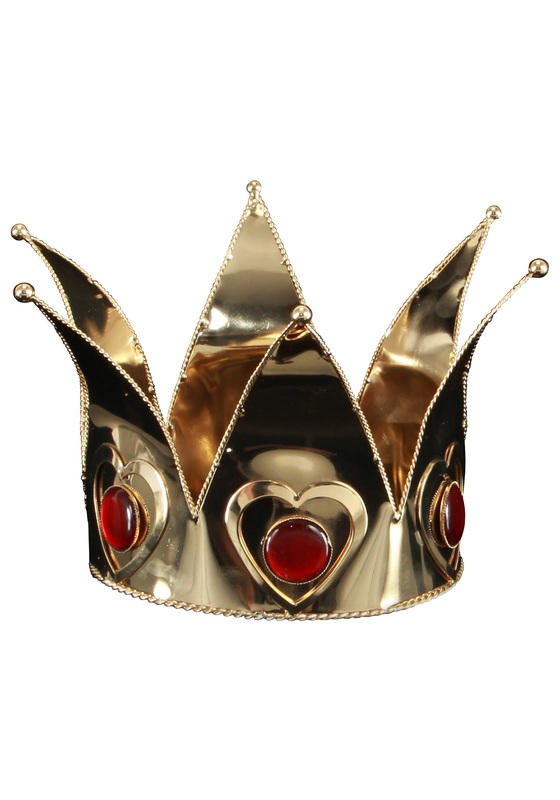 Why not make a joke of those rulers who get too full of themselves by adding this Mini Queen of Hearts Crown to your royal attire! This will be the perfect addition to your satirical portrayal of dim-witted rulers in history and literature. Dress up as England’s dreaded Bloody Mary or as one of Lewis Carroll’s Wonderland queens, either way, we’re sure you’ll have heads rolling! Get the royal treatment while having a few laughs with this hysterical Mini Queen of Hearts Crown atop your head.